#DFRobotInAustralia. 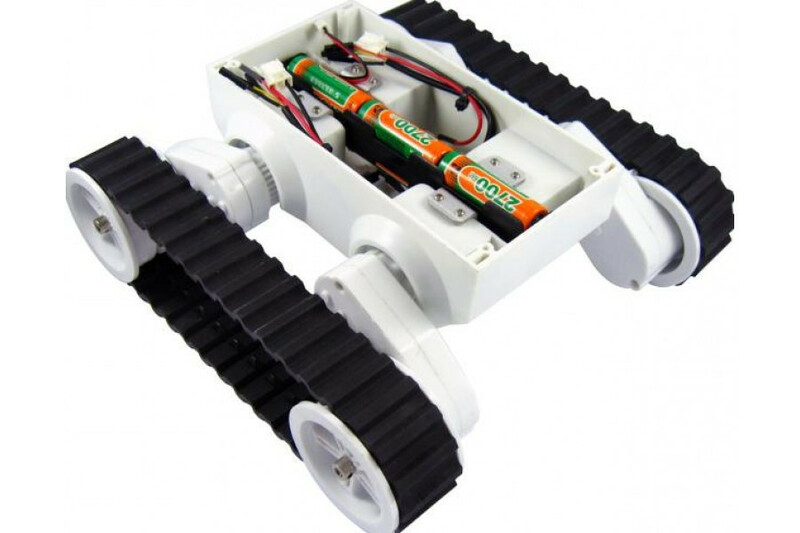 Checkout Rover 5 Tank Chassis for your next robotics project. In contrast to conventional tracked chassis’s the clearance of this chassis can be adjusted by rotating the gearboxes in 5-degree increments. The rubber treads streches to maintain tension when the clearance is raised. There is a battery holder to fit in 6 x AA batteries and also 4 noise suppression coils.